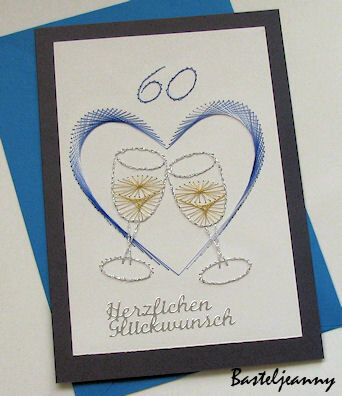 This week’s card is called 60th birthday and was made by Basteljeanny. This elegant card was made using the Stitching Cards Toast pattern. Basteljeanny said: “This card is for the 60th birthday from a boyfriend!”.